The Hindu goddess Kali wishes you a Happy Halloween!!! Same here! I love reading about the Hindu gods and goddesses. 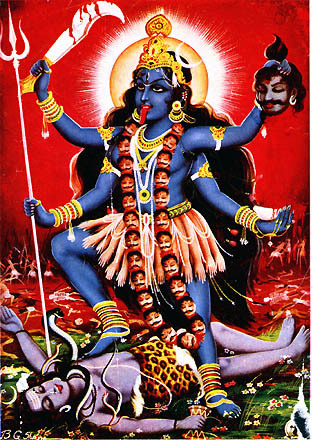 You should see all the legends about Kali - she was not someone you wanted to trifle with.